 Soliloquy vs MetaSlider - Which is the Best WordPress Slider Plugin? Soliloquy vs MetaSlider – Which is the Best WordPress Slider Plugin? Adding a slider to your website can do wonders for its visual appeal. When it comes to selecting a slider plugin for your WordPress website, though, how do you know which is the best? And which one should you choose? In this post, we’ll explore two of the very best WordPress slider plugins available: Meta Slider and Soliloquy. We’ll delve into what each of these extremely popular sliders can do to help you to decide which is the best choice for your website. What Can the Soliloquy and Meta Slider WordPress Plugins Do? 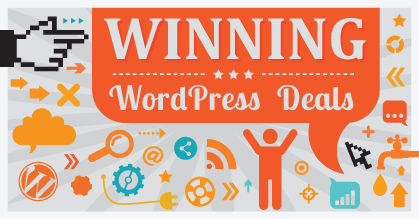 The best slider plugins can help you to upgrade your WordPress website in a number of ways. If you’re a creative looking for an interesting and stylish display for your best work, adding a slider to your portfolio is an easy solution. Videos and image files can also quickly be added to sliders created with Soliloquy or Meta Slider. 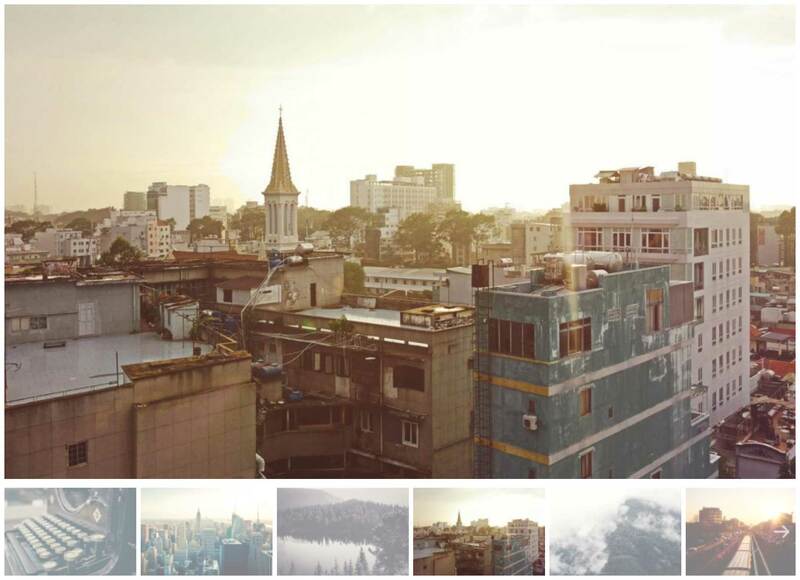 The type of photo slider you can create with Meta Slider. Bloggers can also make great use of tools such as Meta Slider or Soliloquy to promote their latest and greatest blog posts in an interactive slideshow format. Through these tools’ settings, you can control which posts are included and how they’re presented. Both Meta Slider and Soliloquy can display dynamic post feeds in the slider format. 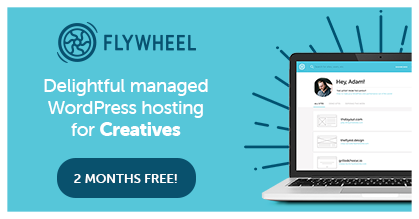 Because these sliders can host almost any type of content, freelancers and business owners can also use them to display logos from projects they’ve worked on, as well as testimonials from happy clients. Another good use for a slider plugin is to display client logos on your portfolio or business website. As with any of the best slider plugins out there, Soliloquy and Meta Slider don’t limit you to standard slideshows. You can choose from a range of designs and styles, including carousel modes, while social media integration is also an option for even more creative possibilities. Example of a carousel slider created with Meta Slider. Both of these plugins come in limited free versions, giving you a good opportunity to try out their user interfaces and different ways of working. 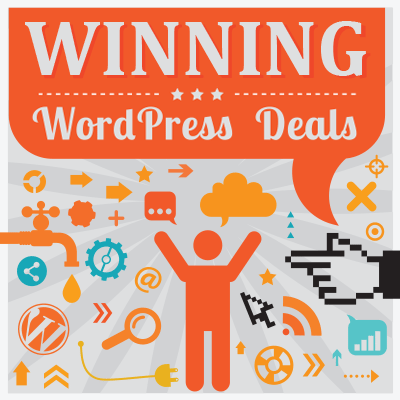 However, if you’re looking for the best plugin for adding slideshows to a WordPress website, you’ll have to pick up the paid versions of these tools. You can create sliders showing content from Instagram. We compared the free and premium versions of Meta Slider in a recent review — check it out to find out more about your options for using this plugin. We also reviewed Soliloquy, too, if you’d like to see everything the different versions of this plugin can do. But when it comes to comparing Soliloquy and MetaSlider, this article will help you to decide which one is best for you. On paper, these two plugins have a similar feature set. 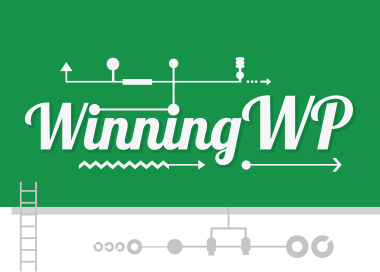 However, in practice, you’ll find they have different approaches to getting things done and delivering results. We’ll compare their best features so you can see whether Soliloquy or Meta Slider is the closest match for your requirements. Both plugins make it easy to add image-based sliders to your WordPress website. Creating image-based slideshows is the core functionality of any good WordPress slider plugin, and both Soliloquy and Meta Slider handle this task very well. 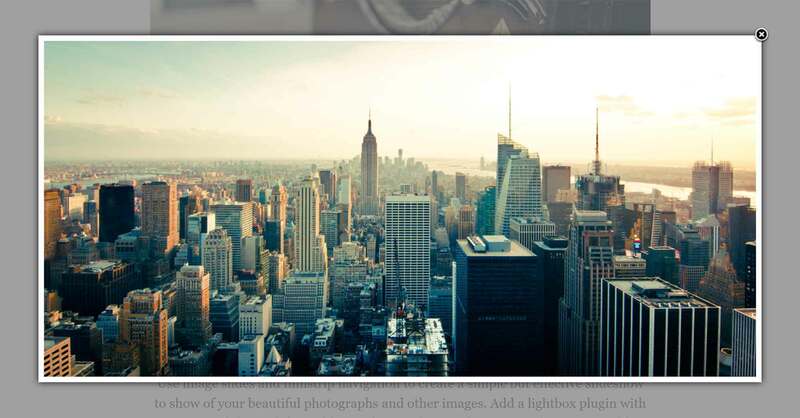 Soliloquy gives you lots of tools for creating image-based sliders for WordPress, including this lightbox option. Both Soliloquy and Meta Slider give you lots of options for how your image-based slideshows can work. Displaying or hiding the navigation controls, using animation transition effects, and controlling the dimensions of the slideshow content are all part of their functionality. Soliloquy includes an auto-transitioning slider that scrolls through the images in your slideshow. Using thumbnails for the slider navigation is an option offered by both Meta Slider and Soliloquy, making both of them great tools for displaying your photography. The Meta Slider thumbnail mode is particularly effective for displaying photographs. 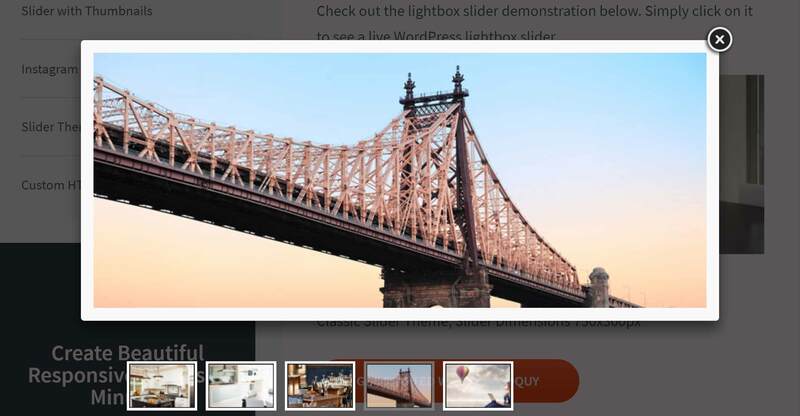 In fact, combining the Meta Slider thumbnail navigation with the lightbox mode makes this plugin ideal for presenting photos on a WordPress website. Both plugins work well for displaying photos, but Meta Slider has some impressive presentation-focused features. Each tool performs really well when it comes to creating image slideshows, and there’s not much to separate them. Adding captions to your slideshow content is another option with both Meta Slider and Soliloquy, and you can easily display the sliders in posts, pages, and in your sidebars and footers using the included slideshow widgets. 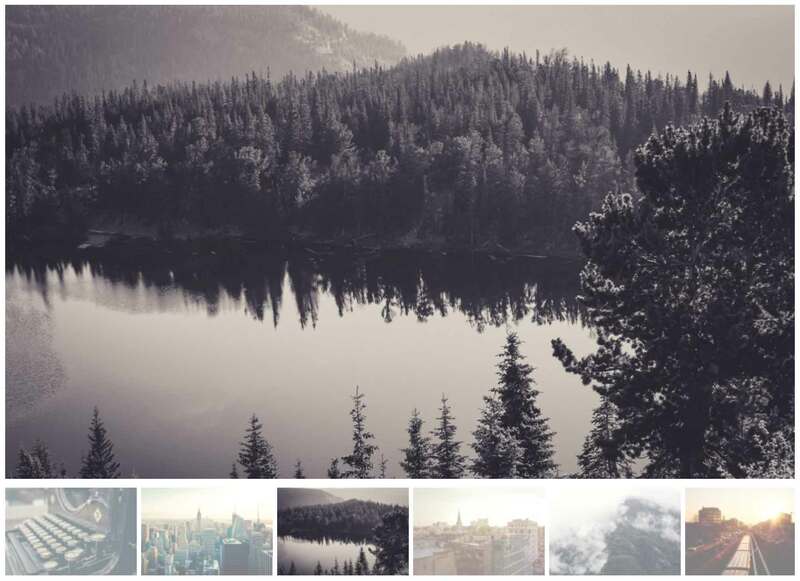 Carousels are a good option for displaying a stream of photos users can slide through. Meta Slider and Soliloquy both include a carousel slider mode if you’d like to display multiple images at one time in the main slider area. The above Soliloquy carousel example looks and works in a similar way to the Meta Slider version. If you combine the animation effects with the different slider modes, you can create some unique slideshows with these plugins. Again, both plugins can easily create stylish carousel sliders, although Meta Slider does include some especially eye-catching designs. Meta Slider can display videos from YouTube and Vimeo in a slideshow format. 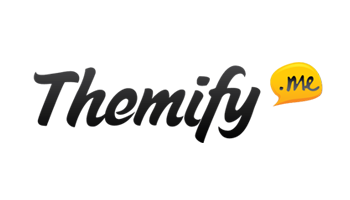 Both plugins have support for adding video slides to a slideshow, and both can display videos from YouTube and Vimeo, with Soliloquy also supporting Wistia. 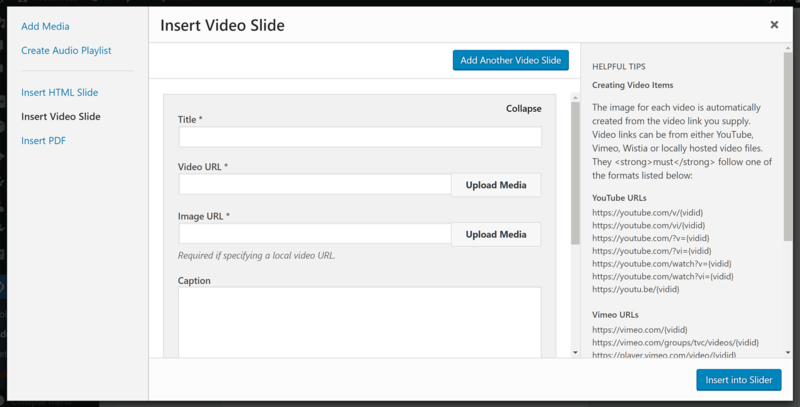 You can also display self-hosted videos in the sliders with both plugins. Soliloquy offers slightly more options for displaying video content in slides, compared with Meta Slider. Combining image and video content to make multimedia sliders is straightforward with both tools, but Soliloquy gives you more flexibility when sourcing your video content. Creating featured content sliders that display blog posts from your website is an option with Soliloquy and Meta Slider. Another way to use these plugins is to create sliders that display and promote post and pages from your WordPress website. As the sliders can be inserted into any location on your website, using the content sliders is a great way to promote your posts and pages to your visitors. 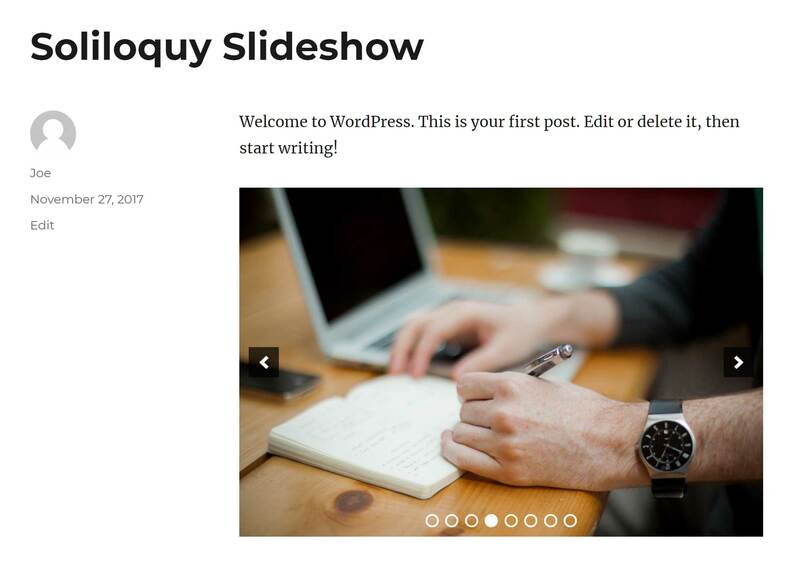 Soliloquy gives you lots of control over which WordPress content is displayed in your slider and how it’s presented. 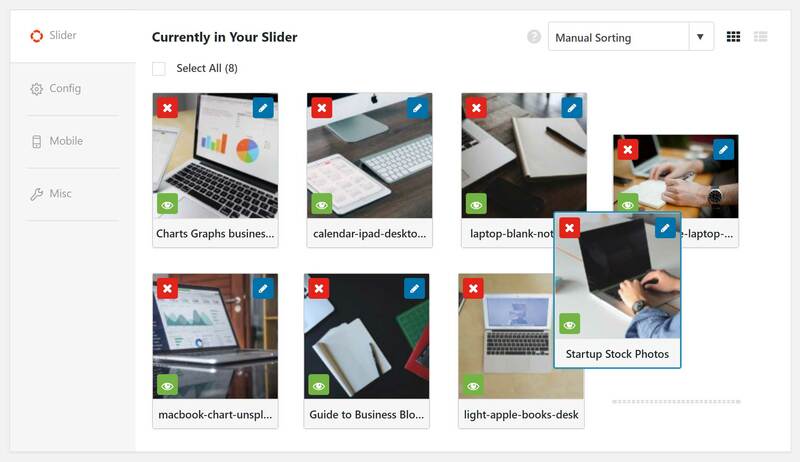 With either tool, it’s easy to define which posts and pages are included in your sliders. However, Soliloquy again does give you more control over which content is included and how it’s displayed. Meta Slider also makes it easy to display post content in your sliders, but you get less control than with Soliloquy. Having the option of displaying the featured image and a caption in each slide can help to increase the chances of your visitors clicking through to the individual pieces of content being promoted. 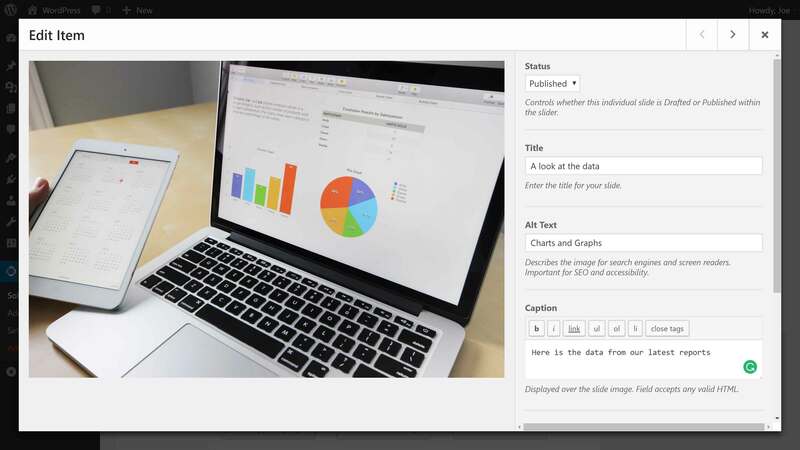 Adding captions and featured images to your sliders can help with click-through rates. The Meta Slider post and page content sliders may look nicer, but Soliloquy does give you more granular control over which content is included and excluded. A carousel slider displaying photos from an authenticated Instagram account with optional Pinterest sharing buttons created in Soliloquy. 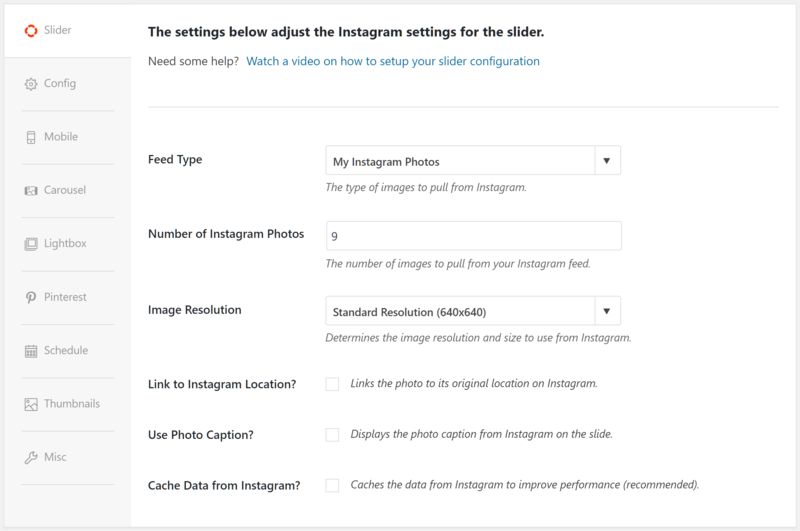 If you want to create social media sliders for your WordPress website, Soliloquy has the ability to display content from Instagram. 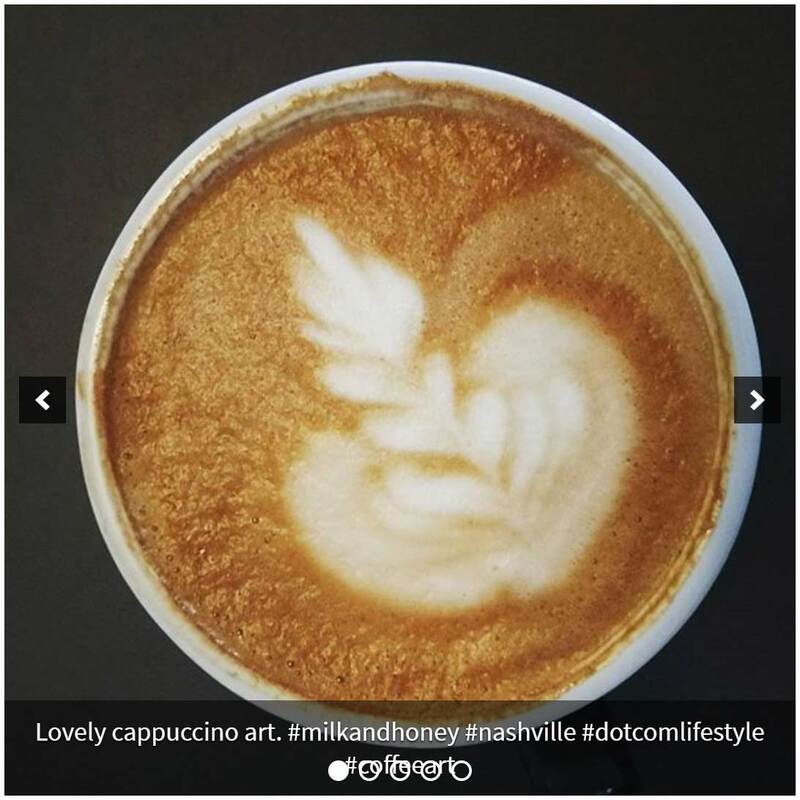 With Soliloquy, you can choose how many photos from Instagram to display, and at which size. To create an Instagram slideshow, you’ll need to authenticate Soliloquy with your Instagram account, after which you’ll be able to display your latest photos. Soliloquy can also display Pin It buttons to the images in your sliders, making it easy for your visitors to share your content on Pinterest. If you’re looking for another way to promote your ecommerce store products, then creating a slideshow is one option. Both plugins include WooCommerce integration, giving you the ability to create slides that display and link to products in your store. 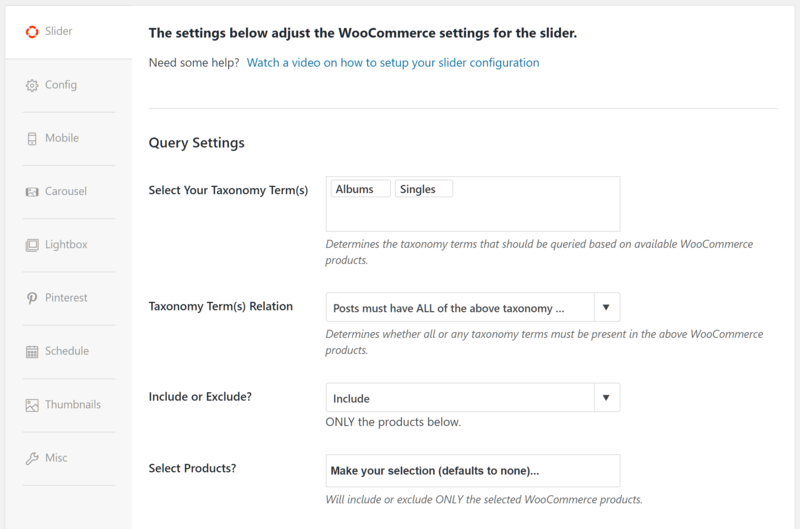 Your Soliloquy WooCommerce product slider can include an add-to-cart button, although you may face some formatting issues. With Soliloquy, you can use the product taxonomies to determine which items are included in the slider, and select individual products to include or exclude. Filtering by price and availability is another slider configuration option, as is setting how the products are sorted in the slideshow. Soliloquy gives you a good amount of control over which products are displayed in your WooCommerce slider. Compared with Soliloquy, Meta Slider doesn’t give you as much control over how your products are filtered and displayed. Meta Slider has less support than Soliloquy for displaying ecommerce products in a slideshow. Therefore, if your goal is to create a product slider using items from your WooCommerce online store, Soliloquy is the better option. Again, Meta Slider gives you fewer options for how your products are displayed in the slider. Unlike Soliloquy, Meta Slider gives you the ability to create multilayer slides with text animations. One interesting feature of Meta Slider that’s not included in Soliloquy is the ability to create slides with layers. These layers can be used to display other content on top of a slide’s main content, such as text on top of a photograph. You can also animate the layers to help your sliders have more impact. Soliloquy makes it easy to set the availability of a slider. Soliloquy includes a scheduling feature that lets you set a start and end date for a slider that controls when it’s visible on your site. If you want to promote time-sensitive offers or content on your website, this feature could come in handy. Which WordPress Slider Plugin Is Easiest to Use? In this section of our Soliloquy vs Meta Slider comparison, we’ll explore the user experience of each plugin. This will help you to get a better idea of which one is right for you, as well as what settings are on offer from each tool. 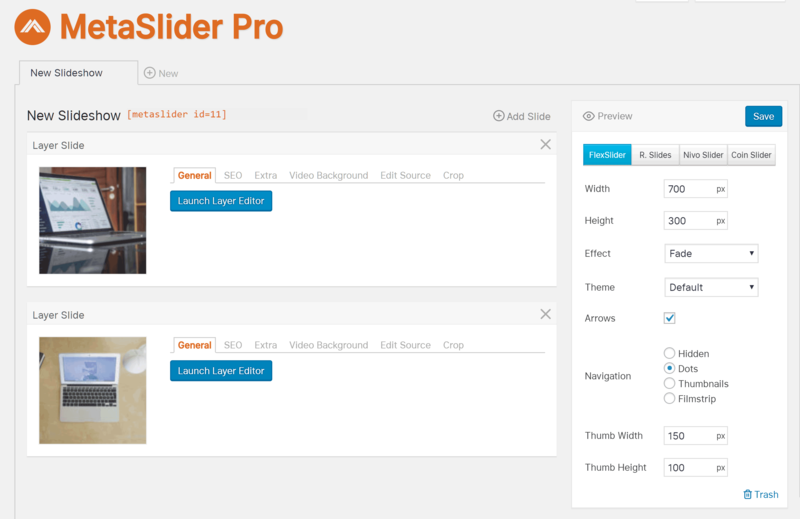 Once the plugins are live on your site, you can get started by creating a new slider. With Meta Slider, the workflow involves creating the individual slides one at a time. 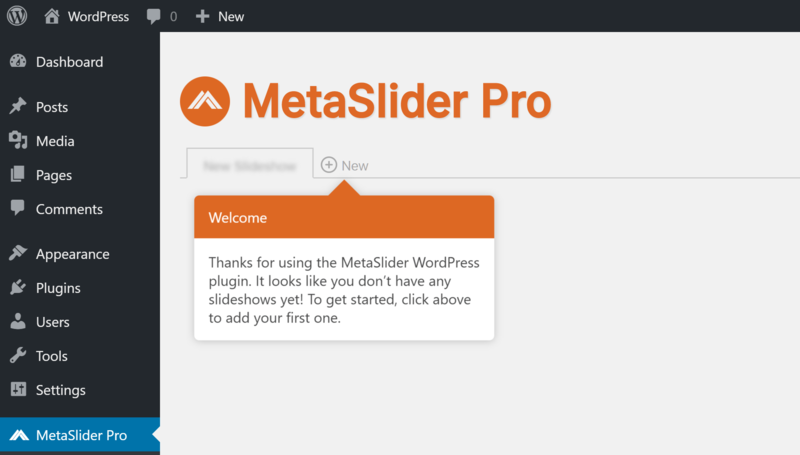 MetaSlider makes it very easy to get started and create your first slideshow. Soliloquy lets you add multiple slides at once, and then start working on the project through the settings. Both plugins make it easy to drag and drop the slides to change their order. The user interfaces of both plugins make it easy to get an overview of your slider, and view the settings on one screen. The lack of unnecessary page loads as you work on the different elements of your slider helps to simplify the process greatly. 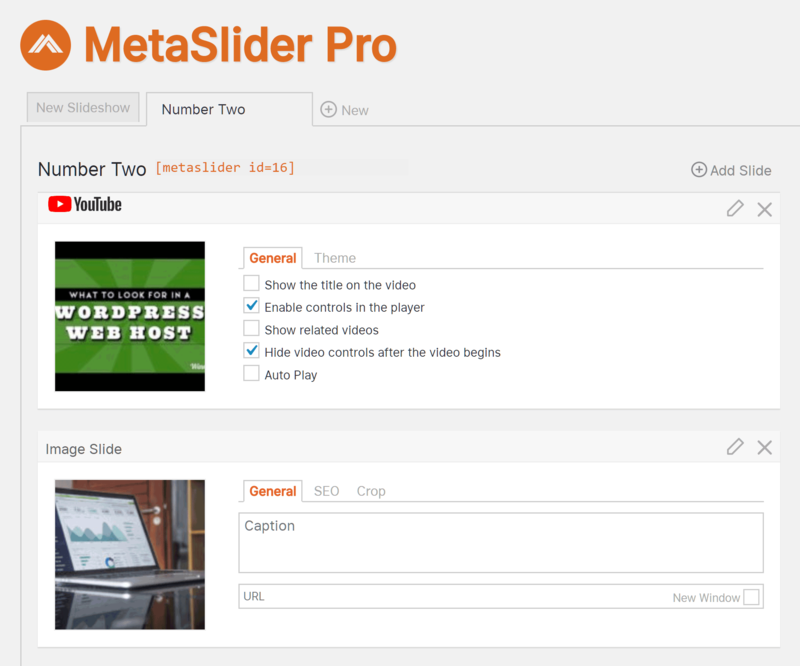 MetaSlider gives you a good overview of the content and settings of your slider on one screen. 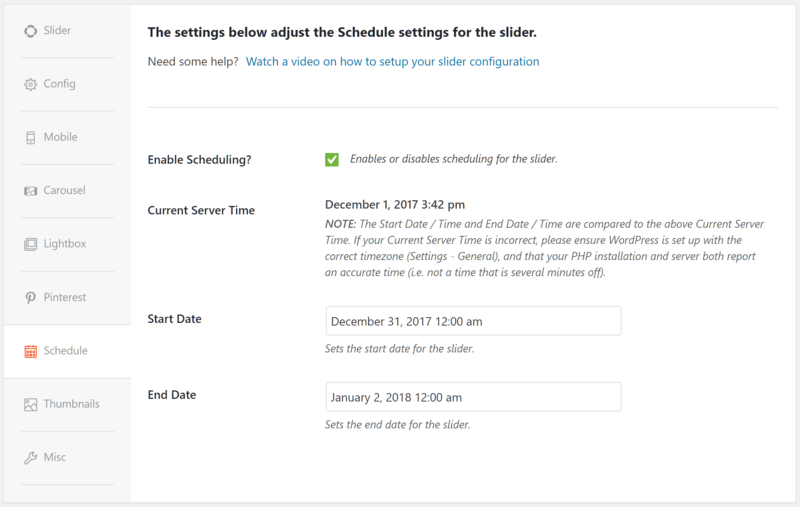 With both slider plugins, adding the slide content is as easy as dragging and dropping content from your computer into the WordPress Media Library, or adding files that are already in there. As mentioned earlier in this comparison, both of these slideshow plugins support multiple content types for their slides. Combining different types of slide content into one slideshow is easy with both Soliloquy and Meta Slider Pro. It takes no extra effort to create mixed media sliders with either of these plugins. 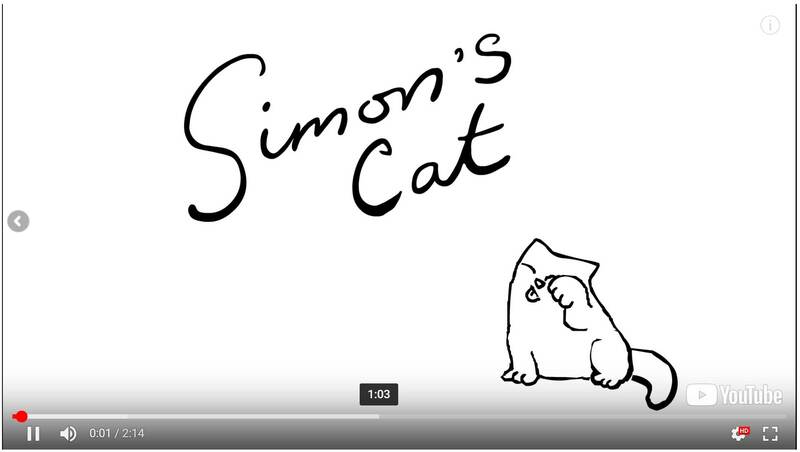 Simply add a new slide, then choose a different type of content, such as a YouTube video or posts from your blog. Meta Slider makes it easy to display blog posts and other post types in a slider. If you have any custom post types active on your site, including WooCommerce products, you can add that content to your slider. With Meta Slider and Soliloquy, it’s easy to filter the post content by taxonomy, and order them by date. 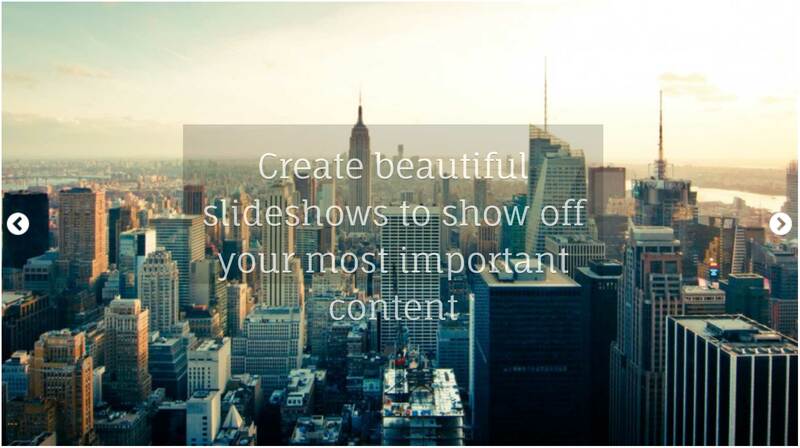 Once you’ve added at least one slide to your presentation, you can begin editing their properties. With both Soliloquy and Meta Slider, you can give your slide content SEO and accessibility-friendly alt and title tags, and add a caption to be displayed on the slide. Turning the slides into clickable links is very straightforward with both plugins, too. Both plugins give you an easy way to add captions and alt text to your images and turn them into links. From the Soliloquy configure tab, you can define how your slider looks and works. These settings cover the display theme, image sizes, animation effects, navigation controls, and more. Like Meta Slider, Soliloquy gives you the ability to configure how your slider works from the same screen. The Meta Slider screen includes a side panel that makes it easy to choose which type of slider format to use, such as FlexSlider or Nivo Slider. Each slider type has its own settings and options, so, depending on which slider type you choose, you’ll have access to different settings covering the theme, animation effects, navigation style, and more. 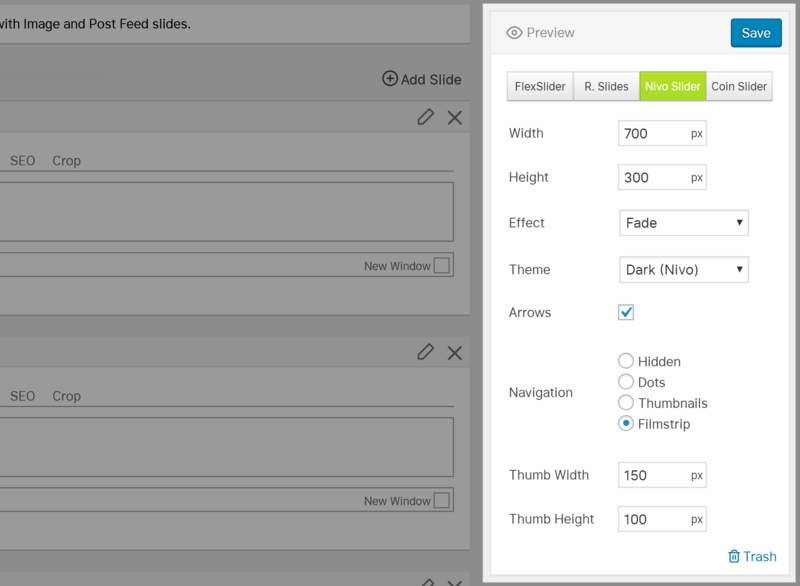 Each of the different Meta Slider formats has its own settings and options for your slideshow. When it comes to which WordPress slider plugin is easiest to use, there isn’t much to separate Soliloquy and Meta Slider. In terms of usability, they both do things slightly differently, but are very easy to get to grips with. One area where Meta Slider does edge ahead of Soliloquy, though, is the preview mode. Meta Slider also has a useful undo feature, which Soliloquy does not. The Meta Slider preview mode gives you an idea of how your slider will look when it goes live. Being able to preview your slider from the creation page makes testing your settings and content very straightforward with Meta Slider. With Soliloquy, however, you’ll need to publish your slider, then insert it into a post or page, and then preview that piece of content to see the slider in action. If your edits don’t work in the way you expected, having to save your changes and publish the slider before you can view them in action could cause problems, as that slider will also be on public display. Adding sliders to the sidebar, footers, and other widgetized areas of your website is easy with both plugins. 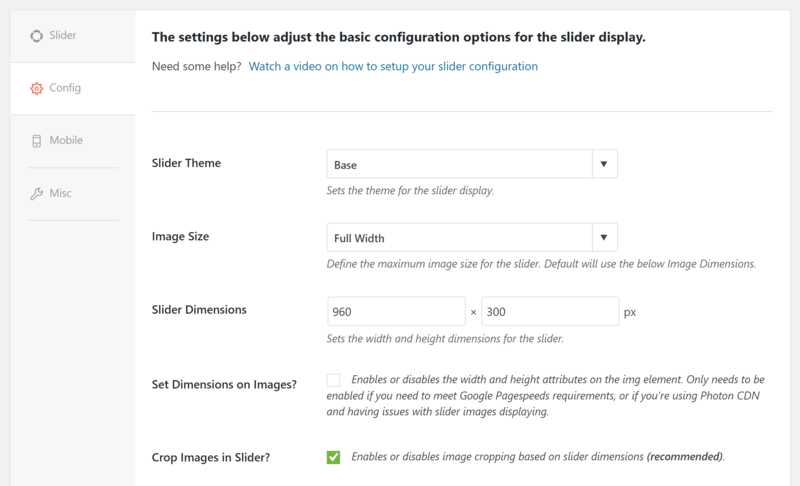 Once you’ve saved or published your slider, you can display it on your WordPress website. As well as inserting the slideshows into your WordPress sidebar and other widget-ready areas, such as the footer, the plugins use shortcodes for adding the sliders to your posts and pages. The widgets from both Soliloquy and Meta Slider offer the same functionality. Both plugins add a handy button to the WordPress editor that gives you the ability to quickly insert the relevant shortcode into your content. The shortcodes give you an easy way to insert the sliders into your posts and pages. When your post or page is published, the shortcode is replaced with the latest version of that particular slideshow. Both sliders also give you the option of inserting code into your theme files to display the slideshows elsewhere on your site. The core versions of both plugins are free to use, but if you want to unlock the full potential of Meta Slider or Soliloquy, you’ll need to upgrade to the premium versions. Meta Slider: From $39 for a two-site license to $289 for use on unlimited sites. Soliloquy: From $19 for a one-site license and basic features to $99 for use on unlimited sites and all features. With Meta Slider, all pricing options include access to plugin updates and premium support for one year. The same applies to Soliloquy, except that there’s also a top-level option that includes lifetime updates for $249. 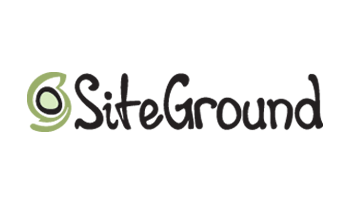 So which is the best WordPress slideshow plugin: Soliloquy or Meta Slider? Well, both plugins have similar features and are easy to use. On price alone, Meta Slider is the more affordable option, with all features available for $39, while you’ll need to pay $99 to unlock all of Soliloquy’s features. Personally, I prefer the design and appearance of the Meta Slider slideshows. However, Soliloquy gives you more control over which content is included and how it’s displayed. If your goal is to create stylish image and video slideshows, with different options for how that content is presented, Meta Slider is probably the best choice. 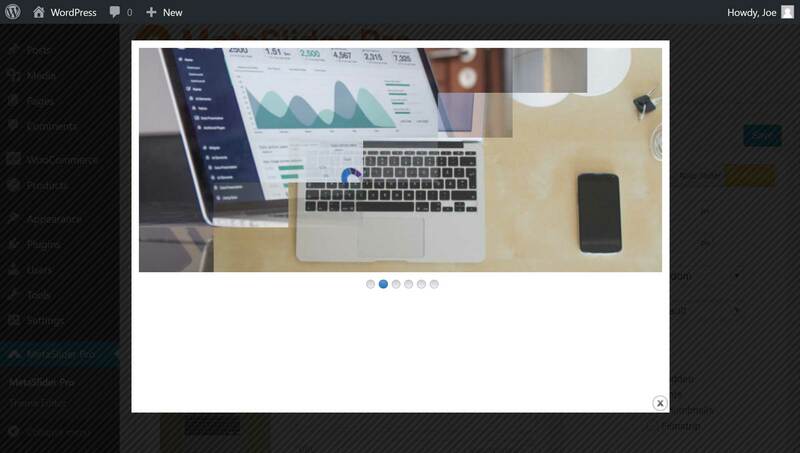 However, if you want to create sliders to display posts, pages, and products on your site, and you need a lot of control over which content is included in those slideshows, Soliloquy has the edge. If you want to know more, you can try demos of the different types of sliders these tools can create, as well as view the documentation on the Soliloquy and Meta Slider websites. If these tools don’t include the features and functionality you need, then be sure to check out our comparison of Slider Revolution, LayerSlider, and Soliloquy for even more slideshow options. Used/using either of these two plugins? Thoughts?